Point out to him that he can't be the dwarf who always lies, because if such were the case he would've just caused a paradox and blown up the universe. Either way, he's just invalidated the riddle because the very premise of it is based upon a logical fallacy. 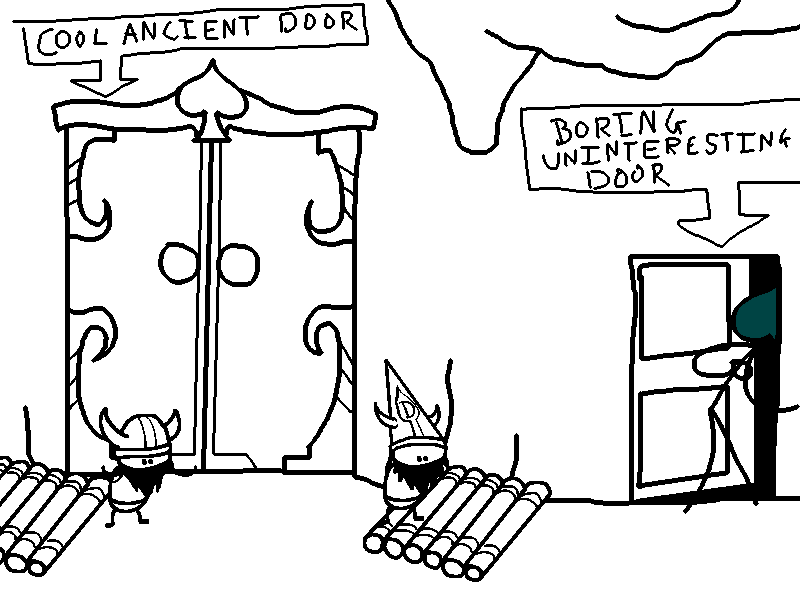 You take a look inside the unguarded door that is obviously very boring indeed. "You can't be the dwarf that always lies because if you were you would have just told the truth."